E-Day features approximately 150 demonstrations, exhibits and contests presented by UK students and departments, government organizations and industry. LEXINGTON, Ky. (Feb. 21, 2018) — This year's celebration of Engineers Day, or E-Day, will be held at the University of Kentucky College of Engineering from 9 a.m. to 1 p.m. Saturday, Feb. 24. The event, located in the engineering complex on campus, will celebrate everything engineers and computer scientists do to make the 21st-century what it is today. The event is free and open to the public. The mobile app "UK E-Day" will be available as a free download in both the App Store and Google Play for visitors to plan their day ahead of time and navigate the many different exhibits. Lunch is not provided at the event, however, UK Dining will have lunch options available. Several privately-owned restaurants are also available within walking distance of campus. Free parking is available in Parking Structure #5, located at 409 South Limestone. Buses and other large vehicles should park in the "E/C" lot on Scott Street. 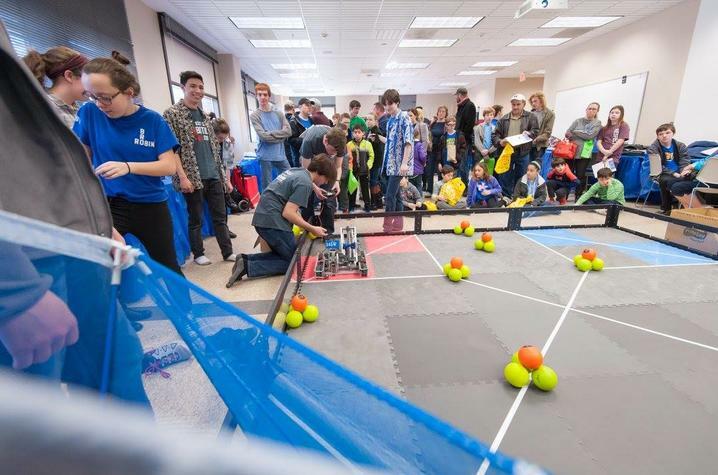 Engineers Day will also be celebrated from 9 a.m.-3 p.m. Central Time Saturday, Feb. 24, at the Paducah Campus of the UK College of Engineering.